You should use Luan plywood any time you are working on small toy projects. That is because this light plywood is relatively inexpensive and can be cut easily into small pieces without risking layer peel back. Luan plywood is typically made from the wood of trees found in the southern pacific rim, and so it does tend to be softer and lighter than some types of plywood. While this does tend to exclude it from being used widely as a building material, it also makes this plywood perfect for smaller applications such as doll houses. And because it is light, Luan wood can also be used in projects like kayaks. 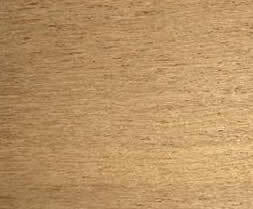 Luan (also called Lauan plywood) is made from trees in the "Shorea" family of trees. Manufacturers create veneer from these trees, which are typically either White Lauan (created from Shorea almon) or Red Lauan (from Shorea negrosensis), and this veneer is glued together in layers to make the plywood. Because of the softness of the wood, it is difficult to make Luan veneer completely free of voids and flaws. The surface layer is usually completely free of voids, but may have fills and patches. This means you may want to paint your Luan pieces. However, these flaws tend to be miniscule and they do not detract from the chief quality of the veneer, which is its excellent cutting properties. As mentioned one of the most common uses for Luan or Lauan plywood is in the manufacture of doll houses and miniature tools. Because of the wood's softness, it is often possible to stamp out these boards with a die. This is why Luan wood is often called die cut plywood, especially when it is 1/8 or ¼ inch thick. You may have some trouble finding a Luan plywood supplier. This is because most suppliers carry a variety of plywood typically used for building; because of its softness and resulting specialty application status, you local lumber supplier may have to order it special – if they can indeed get it at all. Many do it yourselfer's have turned to the Internet to find suppliers of Luan plywood.